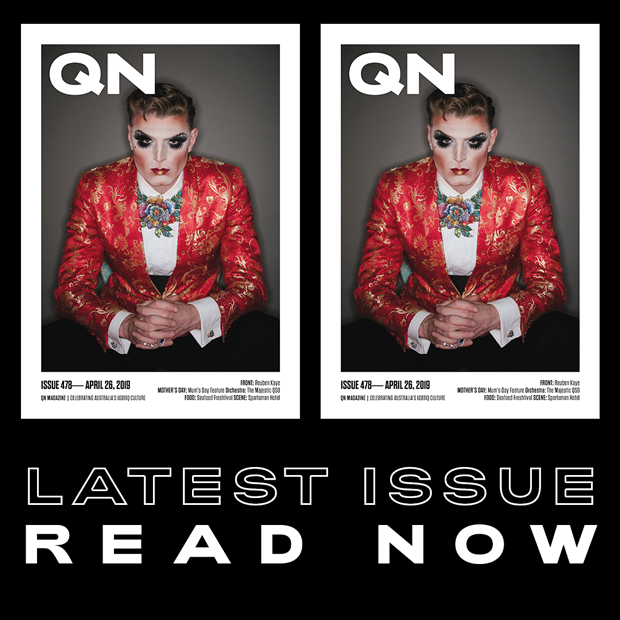 More football teams are being encouraged to hold their own LGBTIQ-inclusive Pride Cup matches after Queensland’s first was hailed a success last Saturday. 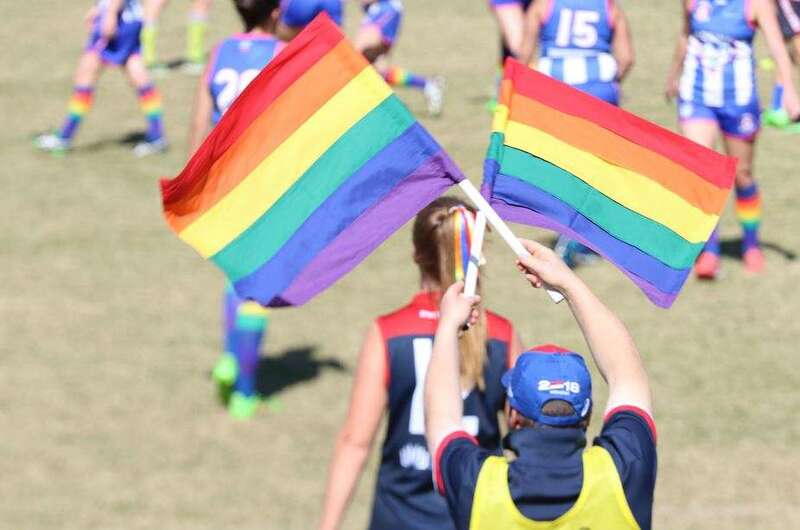 The initiative sees footy teams don rainbow colours to celebrate inclusion and diversity in sport and send a message to LGBTIQ players and fans that they’re welcome and accepted. 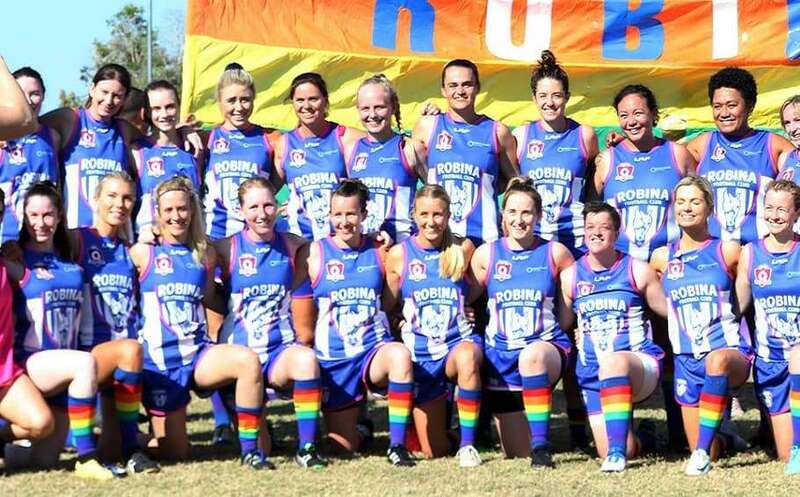 The Robina Roos beat their rivals the Surfers Paradise Demons for the Pride Cup, as both teams wore rainbow-coloured socks and goal umpires waved rainbow coloured flags under rainbow-painted 50m arcs. “Sport is a place where you can come and be accepted. 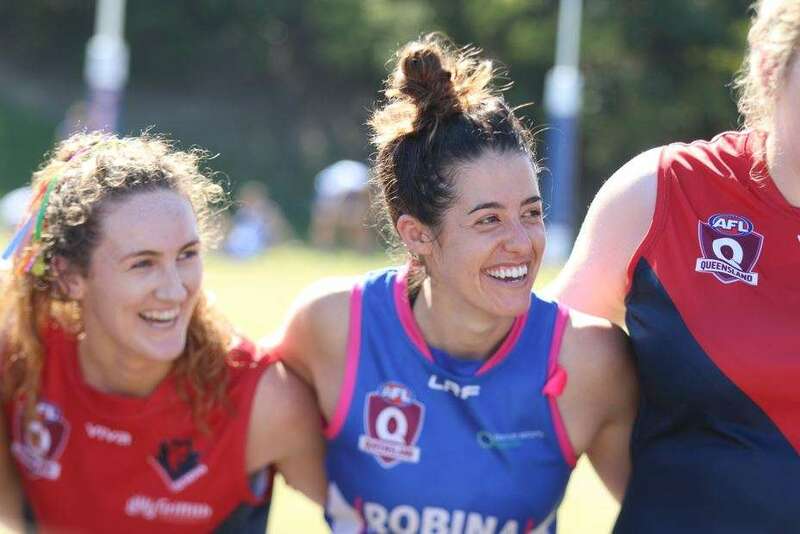 It’s quite special for us to celebrate that on a particular day,” Robina Roos Captain Hanna Blaine (pictured below, centre) told aflq.com.au. “If today can inspire other clubs all around Queensland and Australia to make sure sport is inclusive and welcoming to everybody, it’s a win. Blaine thanked their team manager Sally Crosswell for her tireless work in organising the event. “We really wanted to celebrate inclusion within women’s football given that it is our first season and women’s football is on the rise, she got the idea and really led it,” she said. The Gold Coast-based game is the fourteenth Pride Cup of the 2018 footballing season, with events taking place across Victoria, Adelaide and New South Wales. 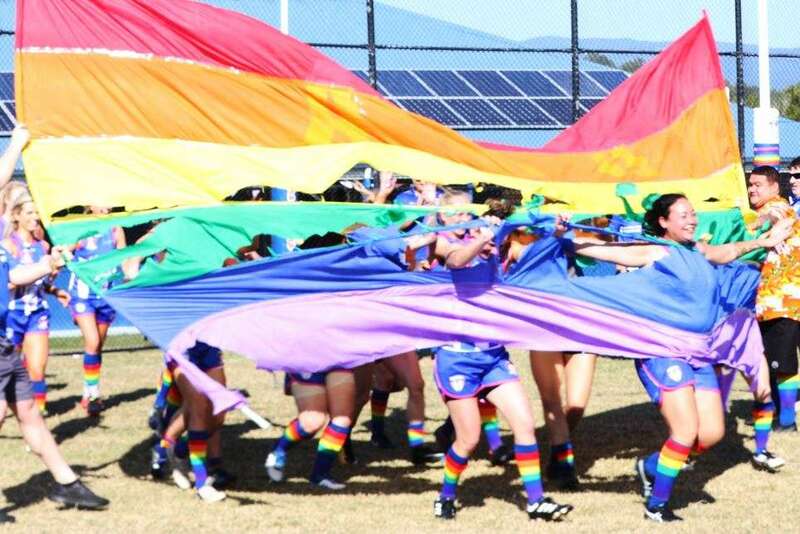 Parents and Friends of Lesbians and Gays (PFLAG) spokesperson Shelley Argent addressed a special event after the Gold Coast match, and she said she’d like to see more Pride Cup matches across Queensland. “It was a really nice atmosphere, and I think it was a real achievement. You can never have too many of these events,” she said. “Barry Gibson from AFL Queensland told us there’s around 6000 women across the state now playing in AFL teams. I think that’s great. Victorian footballer and Pride Cup co-founder Jason Ball organised the first Pride Cup match between country teams Yarra Glen and Yarra Junction in 2014, and that match inspired 2016’s national AFL Pride Game which has become an annual fixture between the Sydney Swans and St Kilda Saints. “Sporting clubs are often the hearts of communities. When they show leadership on an issue, people listen,” he said. Sporting clubs interested in hosting a Pride Cup are encouraged to contact Pride Cup Australia via their website.